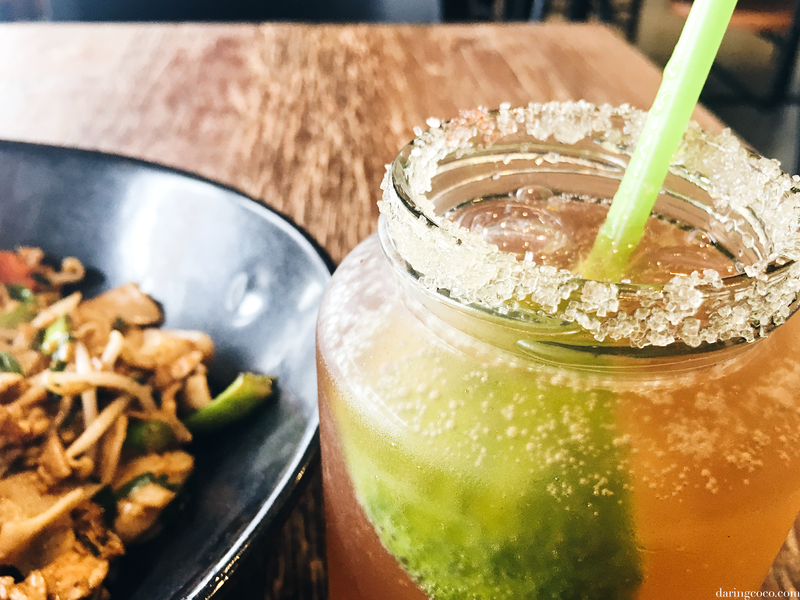 I find as I’ve gotten older the days of venturing to the city for brunch or Saturday night cocktails becomes less common as sheer convenience becomes more appealing. That and the majority of my friends and acquaintances have now settled farther away from ideal city fringes. Considering this is the new norm for Gen-Yer’s there’s been a new trend in Melbourne’s cafe culture in random gems in the most unlikely of places. Like lacklustre high street malls from our childhood are now being converted with contemporary eateries. Even odd residential corners and pockets that once would have been considered business suicide are proving otherwise. Take Left Field for example who to this day have a continuous stream of customers lining out past their doors. 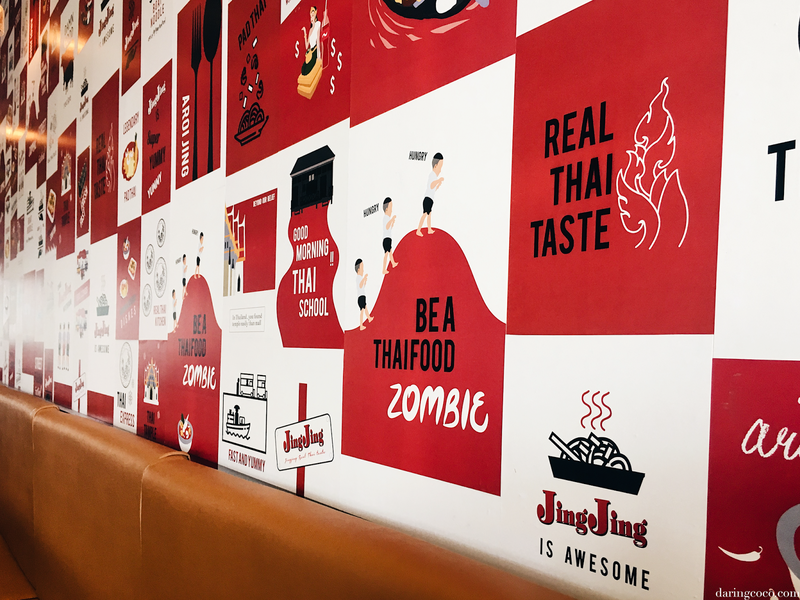 While Jing Jing is located in a (somewhat) newer development in The Village, its position is another example of the new norm in restaurants. 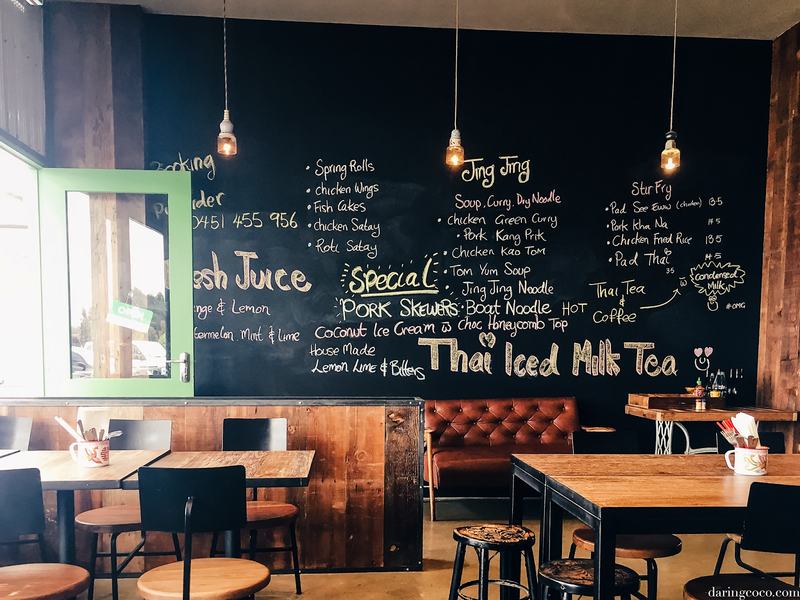 What was once typical of lifeless cafes and fast food eateries, food courts and sites accompanying supermarket chains are anything but drab. They’re promptly filling up with innovative and polished spaces. An ode to our generation trying to make our mark in the world. 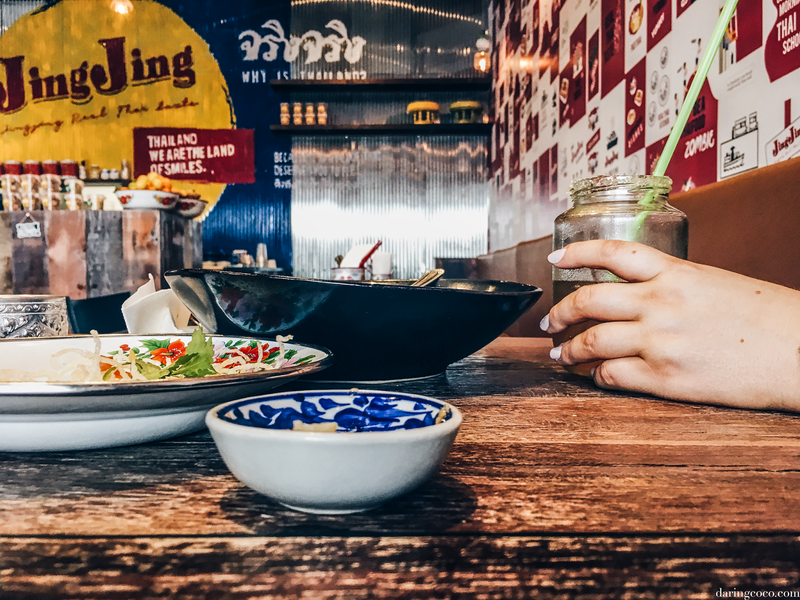 Jing Jing specialises in authentic Thai cuisine and with an equally decadent interior combining a fusion of modern with Oriental this is a refreshing find. It is a space that personifies serenity. Much like the country itself where one happens to immediately associate and conjure pristine beaches and lush greenery. 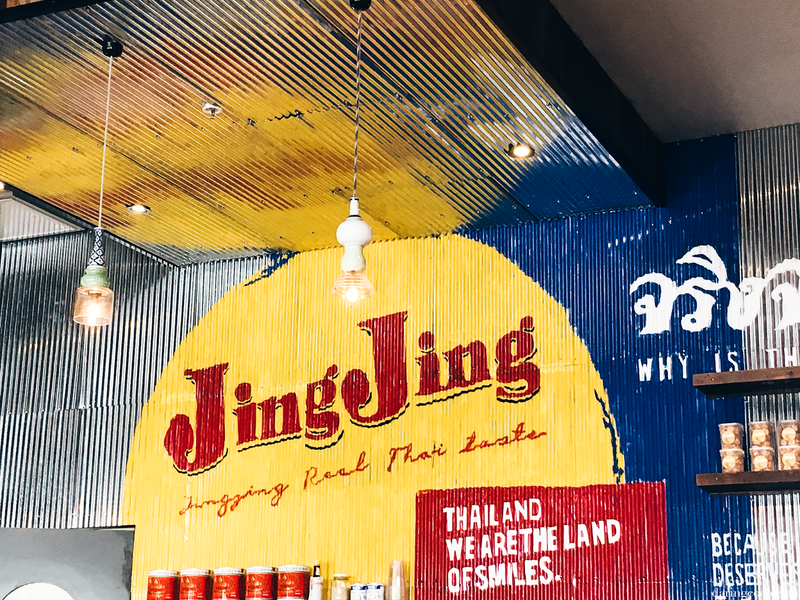 It is a peacefully cozy nook with many interior quirks from darkened wooden features to iconic galvanised iron and mismatched pendant lighting. Their vibrant, personalised wallpaper and illustrations are also a delight to the senses. 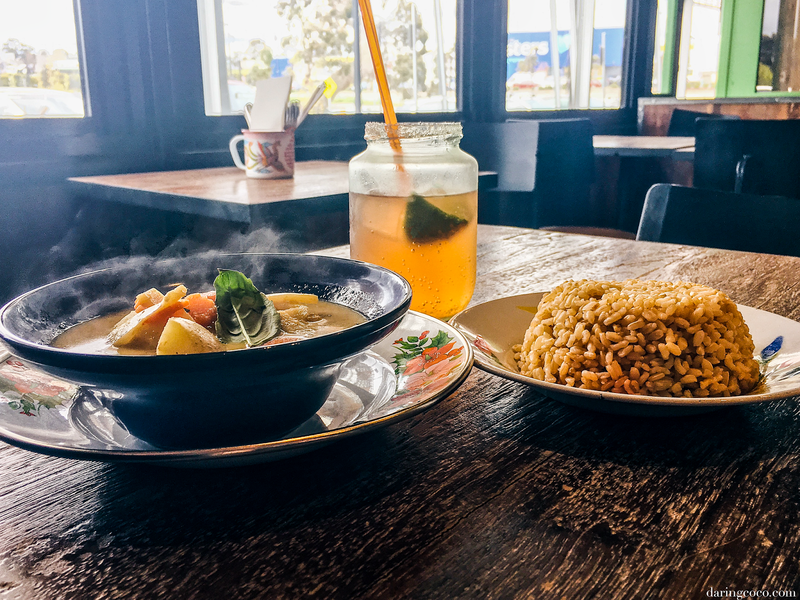 On the menu you’ll find many of your typical Thai favourites, like Tom Yum and Pad Thai. 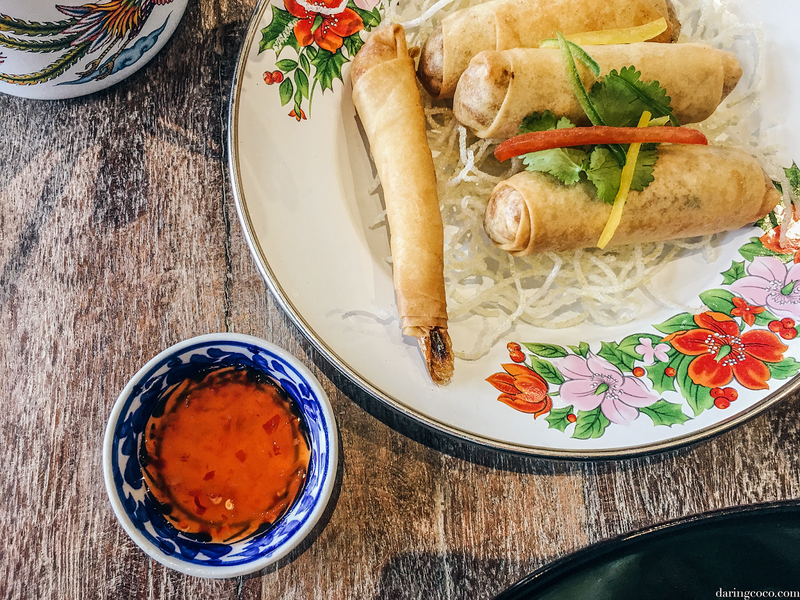 There’s even an vast array of Vegan and Vegetarian selections too, which is always a welcome relief for someone who doesn’t overly favour meat. And while portion sizes are on the smaller side this negative is completely overshadowed by the freshness of the actual food. 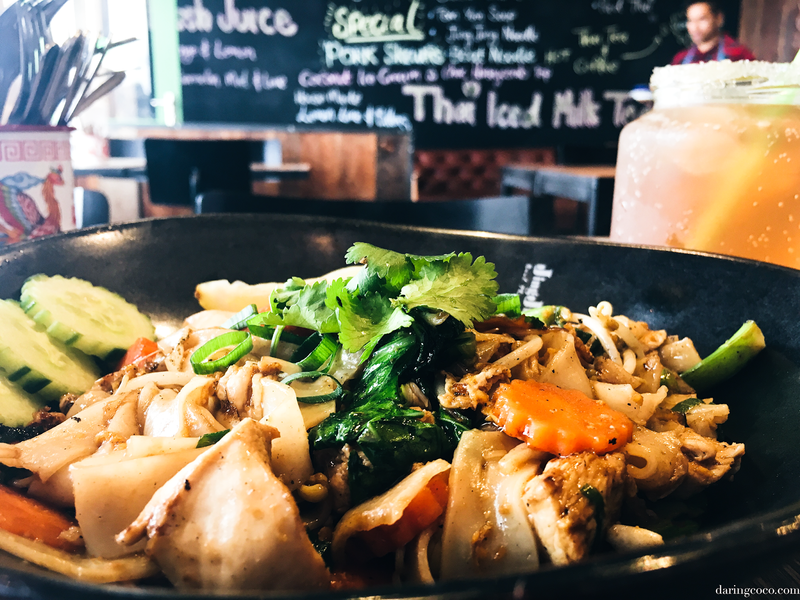 Presentation is also rather memorable and charming, considering stir-fry’s and curry’s are rarely becoming on the plate in terms of creative design. I’d say it’s those gracefully quaint floral plates that wonderfully transport you back to your childhood or home. Back to memories of your grandmother or a satisfying home cooked meal by mum.